Chelsea striker states that he needs to play a full season but I am certain that will not be here. Ask any football fan to give their opinion on Radamel Falcao over the last two seasons and they would state "disappointing". The player has stated that he needs to play a full season to get back to his best but do you agree? 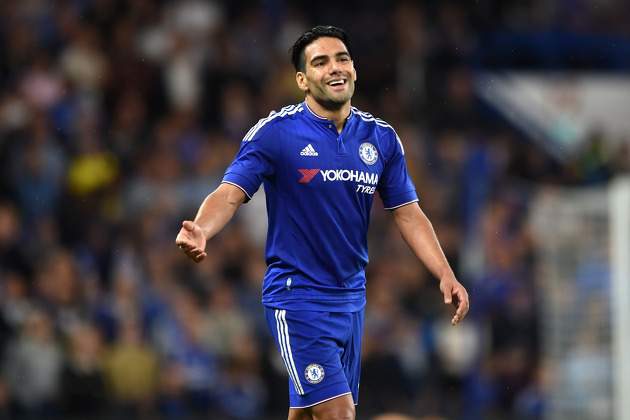 As with Manchester United last season, things haven't worked out for Falcao at Chelsea either. Yes he has had his injury problems but putting that to one side, he was never going to force Diego Costa out of the side. At best, he could have forced his way into the Managers thinking of playing two up front when we were struggling for goals but that hasn't happened. As a result, he has had to settle for life on the bench to come on in games late on to try and have some sort of influence. "I have recovered my knee, what happens now is since then I haven’t had the opportunity to play an entire season to regain confidence and be competitive again. The problem for Falcao is that he went from being one of the hottest properties in the game and a lethal striker into someone who has had to almost start again. He is right in that he needs to play regular football in order to regain important match fitness first, then his confidence by scoring goals. He isn't going to do that being given ten minutes here and there over the last two years. The problem he also faces is the fact that he made a decision to go to Monaco in the first place on ridiculous wages that would price him out of a move elsewhere to get that regular first team football. Reports would have you believe that Monaco are also trying to get rid of him now and do not want Chelsea to terminate our loan arrangement early. It was interesting to read reports of a leaked document that gave details of the loan arrangement with Chelsea. Chelsea never had to pay any fee for Falcao, just his wages which are believed to be half of what he earns in France per week. The only stipulation is that Chelsea would have to confirm in writing if they wanted to sign Falcao by April for a fee of around £38m which is not going to happen. I am sure that given a regular run of games, at least a season as Falcao has stated, would be of a huge benefit and he would re-discover his goalscoring touch. Whether it will be as good as before is yet to be seen but he will not find that at Chelsea. I wonder what will happen for the remainder of the season. What do you think of Falcao? Do you think he should be given a run of games to re-discover his shooting boots or do you think he will never be the same after his injury?